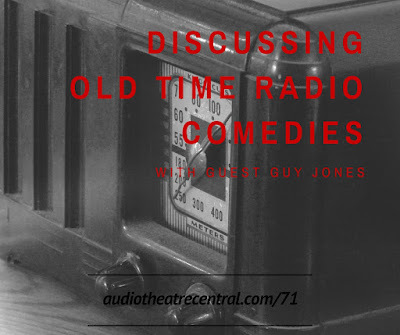 We share some thoughts on some of our favorite Old Time Radio comedy shows in this episode. We are joined in the studio by Andrew's father, Guy Jones, who is a wealth of knowledge about OTR. We dive into lots of behind the scenes info about the actors, things that took place in the studio, how some shows were connected to others and even play a couple short clips from two shows. You'll hear how Lou Costello lived up to the saying "The show must go on", find out if Jack Benny really was a skinflint, learn why Hal Peary was replaced as Gildersleeve, and much more. Producer's Note: We had a couple moments in the recording of this episode where there is a bit of background noise which can be heard. We did our best to minimize it and hope it does not detract from the content too much. Thanks! Old-time.com called The Alan Young Show the worst OTR comedy variety show. How do you feel about that?